Lithium Australia has acquired a significant interest in battery recycling company Envirostream that augments the Australian Government’s critical minerals strategy in 2019. The technical partnership will develop methods to retrieve critical metals from spent batteries within Australia. The joint venture (JV) aims to ensure critical metals recovered from recycled batteries remain under Australian control to the point of sale. 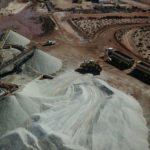 The critical minerals strategy, launched by the Australian Government earlier this month, envisions Australia as a world leader in exploration, extraction, production and the processing of critical minerals. “Sustainable and ethical supply of critical materials is a global challenge. Maximising the recycling of all battery metals, something rarely done effectively, is a target we have achieved in university-controlled testing,” Lithium Australia managing director Adrian Griffin said. “We have not limited ourselves to lithium ion batteries, but have included alkaline batteries with the aim of eliminating all such spent items from landfill. Australia lags behind the rest of the world in battery recycling, where only three per cent – predominantly LIB – are returned for reprocessing, according to Lithium Australia. Envirostream will roll out its collection strategy to deal with the rapidly increasing quantity of spent batteries nationally. 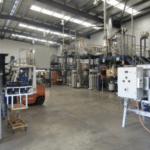 It operates the only facility for shredding and reprocessing of lithium-ion batteries (LIB) in Australia. 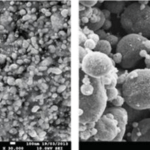 Lithium Australia will continue its research into the chemical processing of alkaline batteries and LIB. “We have a message for original equipment manufacturers (OEMs) as well – we have a plan, we have the ability and we have the solution to your long-awaited battery stewardship requirements,” Griffin said. The JV is expected to create employment opportunities in the battery industry not previously available within Australia.